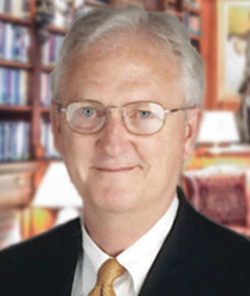 Ennis Parker is a Brookwood shareholder and Senior Advisor. He also is Professor of Practice at Georgia Tech. He brings more than 49 years experience managing large complex projects and has directed the design and construction efforts for more than $2 billion in public sector capital projects, nearly half of which have been completed for colleges and universities. In addition, he is extensively knowledgeable with all forms of project delivery, including design/build, bridging and construction management at risk. His architectural experience for government agencies includes projects for the Georgia Board of Regents, the Technical University System of Georgia, Department of Human Resources, and the U.S. Army Corps of Engineers. Ennis has extensive experience with higher education projects, and in working with nationally and internationally recognized architects. Some of the large projects that Ennis has managed include the Network Operations Complex for Turner Broadcasting, a corporate headquarters for Coca-Cola USA, the 38-gate expansion of Greater Cincinnati Airport, and a new $115 million food processing plan for Beechnut in upstate New York. Ennis has served as national President of the Professional Services Management Association and as President of both the Georgia Association and the Atlanta Chapters of the American Institute of Architects. He has focused on program and project management in his career, and was nominated for “Man of the Year in Construction” by ENR Magazine for management accomplishments. He has been involved in architecture and program management for government and private institutions for his entire career.